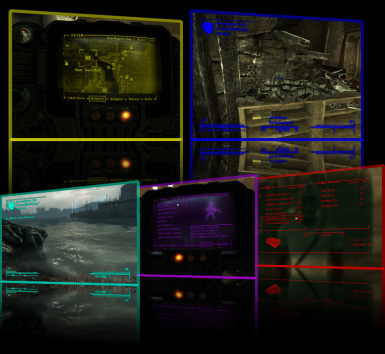 Define the interface colors of Fallout 3 (HUD and PipBoy) yourself. Totally. 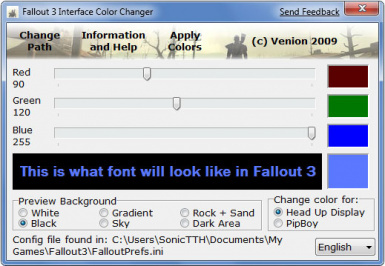 This is a small program with which you can adjust Fallout 3's interface colors. You may set any 32-bit color for your Head Up Display and PipBoy. There's also a preview with font and shadow - just like in the game - plus different backgrounds to compare. The program finds the configuration file of the game automatically. So all you need to do is open it up, set your colors and click on "Apply Colors" - done. Please fell free to give feedback, too!